All prices are plus the at present valid value added tax! 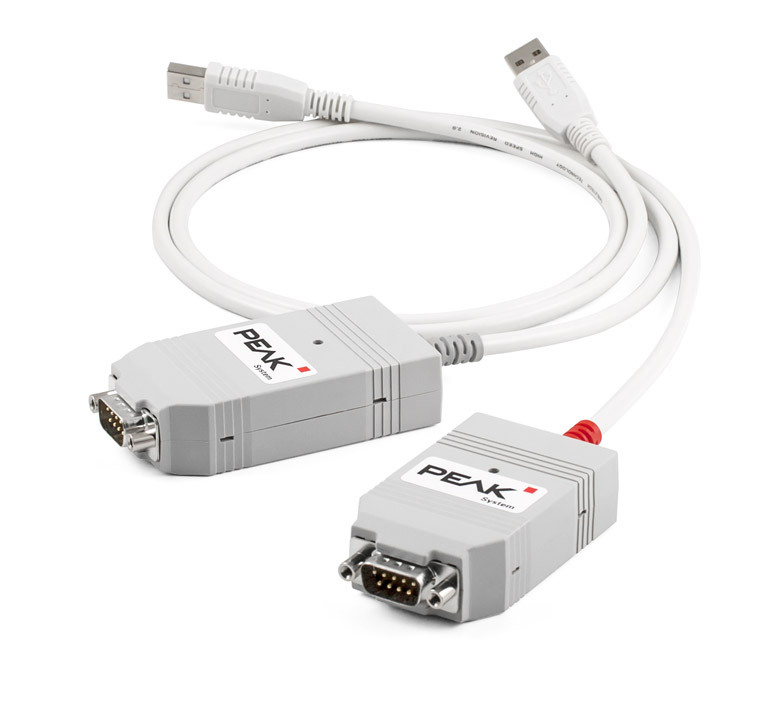 The PCAN-USB adapter enables simple connection to CAN networks. Its compact plastic casing makes it suitable for mobile applications. 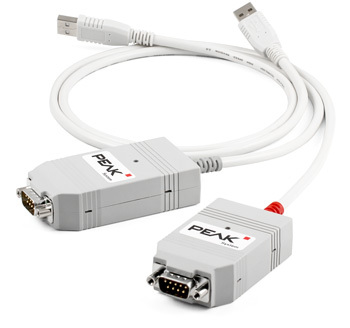 The opto-decoupled version guarantees galvanic isolation of up to 500 Volts between the PC and the CAN side. Windows® software for displaying, transmitting, and recording CAN and CAN FD messages. 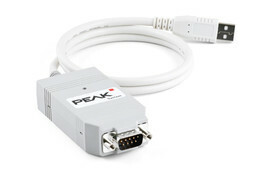 Pass-Thru API and connection of Pass-Thru software to PEAK CAN interfaces. Installation for Windows® 10, 8.1, 7 (32/64-bit) includes interface DLLs, a configuration software, the PCAN-Basic API, and the PCAN-ISO-TP API. The download also contains the documentation (English).